It is a distant dream to achieve the peace in Afghanistan. Despite the world media and Afghan government have repeatedly claimed about the imminence of peace with the Taliban, there is no beacon of peace in sight for at least a decade ahead. Even if there is an olive branch, it doesn’t necessarily culminate in the prosperity of the people and would rather offer half of Afghanistan’s soil or half of power in the government to militants. In reality, the peace is nothing but a tool under the shadows of which a litany of evil plans is being implemented. According to Afghanpaper.com and Afghanistan’s latest back-to-back events, the US has handed a kill/arrest list to its recently appointed special representative Zalmay Khalilzad (image right), an Afghan-American. He embarked on a number of trips and unexpectedly met with several regional and Afghan leaders involved in Afghanistan’s peace within one month. Khalilzad commenced on his trip on October 5 to five countries including Afghanistan, Pakistan, Qatar, UAE and Saudi Arabia. Although, Washington had announced that Khalilzad’s mission is to lead peace efforts and bring Taliban to negotiating table, less than two months later now, a glimpse at the consecutive events over this period of time unveils a frightening truth behind the proclaimed effort. The first harrowing incident as of Khalilzad’s appointment was the assassination of Kandahar’s powerful Police Chief Abdul Raziq Achakzai. He was famous for his tenacious anti-Taliban combat and survived several IEDs and suicide attacks plotted by the group. He was installed as police chief in 2011 and carried strong public support not only from Kandahar province, but the entire population of Afghanistan. He was murdered in a planned press conference event attended by the top US commander in Afghanistan General Scott Miller. The media, government and the US blamed Pakistan for the assault, but chilling truths surfaced later on social media that it was an inside job to remove the most powerful anti-insurgents face in Afghanistan. In the press conference, both Afghan and foreign forces agreed to disarm members and guards, except one Afghan service member authorized by foreign forces who opened fire at commander Raziq in the wake of the conference. The people took to social media to blast at the US for the assassination. It also led to anti-American resentment within the Afghan army and resulted in at least two fatal assaults on US forces. Just two days before Raziq’s killing, another prominent tribal elder and MP Jabar Qahraman was also killed in a suicide explosion. Within days of Raziq’s assassination, a Taliban leader Mullah Abdul Ghani Baradar was released from a prison in Pakistan. Later, five Taliban inmates were freed from the Guantanamo prison and placed in the Taliban office in Qatar under the pretext of expediting the peace process. These developments, of course, constitute part of the agenda launched by Khalilzad. According to Afghanpaper.com, a source familiar to the Taliban in Qatar said that the issue of assassination or detention of certain influential figures designated by the US had been raised and discussed in the latest meeting of Khalilzad with Taliban leaders in Doha. The Taliban members have urged the US to add other names in the list too. Refusing to disclose the names of target persons, the source further added that the list included 14 people, of which 1 or 2 were killed and three are held in custody and the rest of the 10 people are to be killed or detained over the coming six months. Reports expose that almost all enlisted persons are anti-Taliban or anti-ISIS heavyweights in Afghanistan and have caused headache for the US in the country. In the office as police chief, Raziq wiped out thousands of militants without the coordination of or consultation with the US or Afghan government, because he believed “they are not serious in the combat”. On the other hand, the commander of NATO’s resolute support mission General Scott Miller (left) unexpectedly went on visits to central Ghazni and western Farah provinces this month in a bid to, according to unofficial reports, disarm armed personnel of local groups. One of Khalilzad’s to-do tasks is to demilitarize the armed personnel of several parties and groups that fight militants or fill the combat vacuum of government in the fight against rebels. The US seems not intended to fight Taliban anymore as the release of inmates and the assassination of anti-Taliban figures manifest a backward movement in the war on terror in Afghanistan. In the latest act of detention, a Hazara local uprising commander Alipur had been arrested by Afghanistan’s intelligence agency on some alleged charges including illegal armed activities and attacks on Afghan security forces. This is the official narrative and the broad public opinion differs. He is said to be a local uprising commander who fought back Taliban and other militants in his home province. Widespread protests had been staged in Kabul for two days to demand the unconditional release of Commander Alipur. If we cast a look at the recent moves by the Afghan government from the perspective of Khalilzad’s list issue, it becomes clear that the detainee is one of several anti-Taliban warriors subject to be killed or incarcerated. The same day, a US spokesperson in Kabul refused involvement in the detention of Alipur. Commander Alipur was fortunate among those in the list. He was released on bail on Monday night on the condition of abiding by certain commitments. Alipur was made to read out his commitments in a video circulated on social media that he will, among other, surrender his arms to government, fight as a soldier under government orders and stay in Kabul as long as required. In all, we can conclude that he was “silenced” and banned from taking up arms again and fighting in his region against whatever the militant group is called. Others believe that Alipur and other Hazara commanders are supported and armed by Iran via Hazara leaders in Kabul and the protests have also been organized at the behest of the Islamic regime to weaken the influence of militants posing threats to Iran and challenge the Afghan government for siding with the West. 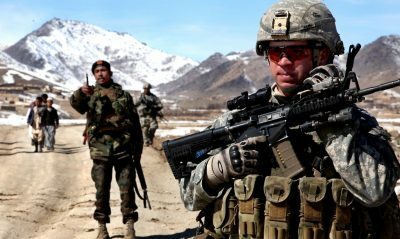 According to Afghanpaper.com, some of the enlisted individuals are powerful anti-US commanders and avowed true enemies of the Taliban in the army and national police and the rest of them are local armed warriors who have publicly waged war against the Taliban and ISIS in their respective regions. Throughout Afghanistan, dozens of uprisings have been organized since the US invasion in 2001 by local people against the oppression and massacres of the Taliban and then ISIS, but none of them have received a scrap of support from former and present governments in Afghanistan. Many of the uprisings’ leaders and members have suffered causalities in cold-blooded ambushes and attacks, left stranded without arms or technical support from government. 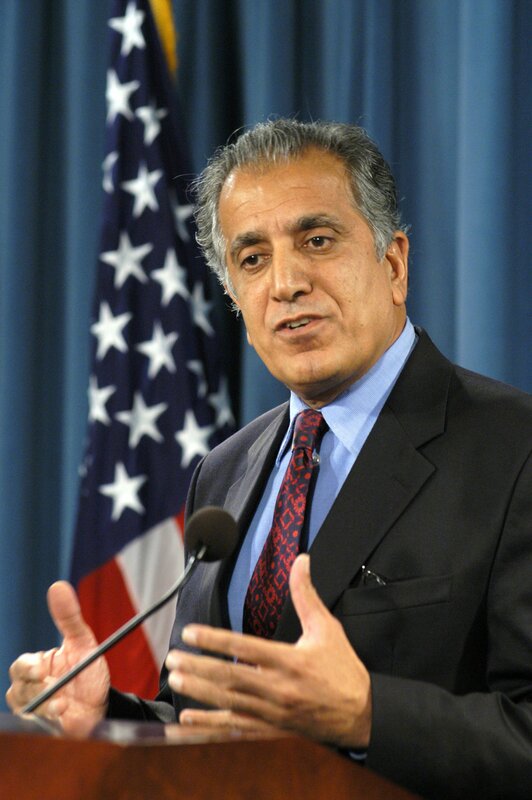 Khalilzad’s agenda also included postponement of the upcoming presidential election that was scheduled for April 2019, which he did so by announcing it to the people of Afghanistan. For the US, Ashraf Ghani is still a trusted and fit person to lead the country, so the deferral of presidential elections to an uncertain date under one reason constitutes a guarantee to the US, that a pro-US president will remain in office. In July 2018, Nizamuddin Qaisaria local commander from northern Faryab province that shares a border with Turkmenistan was arrested by Afghan commandos on unknown charges. He was a commander of the ex-warlord and the de-facto first vice president Abdul Rashid Dostum, who took a stance against the influx of ISIS terrorists in his home district of Qaisar. And Abdul Rashid Dostum himself during his early days in office had headed to the north of Afghanistan with a long fleet of vehicles to take lead of operations against the belligerent groups which the government “failed” to annihilate. His home province was set to be stormed by ISIS loyalists and, therefore, he moved into action without the consultation and agreement of the Ashraf Ghani government. And now Abdul Rashid Dostum is paying for his deeds. The US has their eyes upon him. He was forced into exile to Turkey and banned from entering Afghanistan last year. Disqualified from his government post, he is now living under severe restrictions in Afghanistan.